Start or interrupt your hop-on hop-off sightseeing tour of Berlin at stop Kollwitzkiez/Metzer Straße. 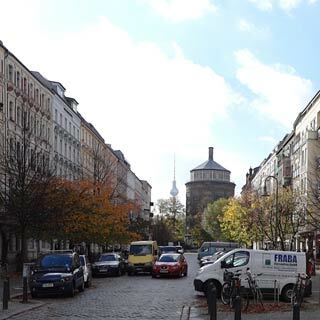 Prenzlauer Berg, a city district in transition between history and modernity, is characterized by charming old buildings and lavishly renovated buildings from the early 1900's. It is one of Berlin’s trendy districts with lots of clubs.